Branded pillows will keep your logo on their mind! 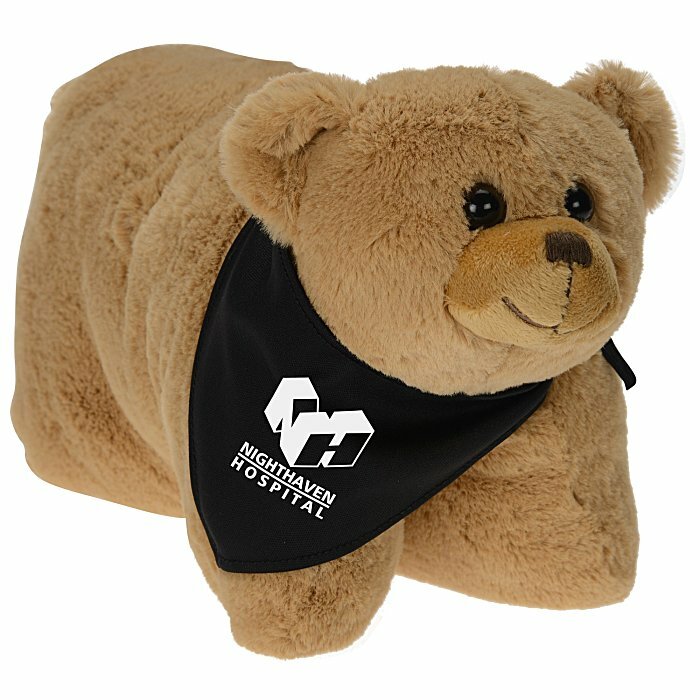 This imprinted bear pillow is made from a plush material with a stuffed interior. Each pillow features a hook-and-loop closure that transforms it from a pillow into a bear! Bears are finished with a black, beaded eyes and a stitched nose. Complete with an imprinted bandana for additional style! When unfolded, the pillow measures 1-3/4" x 12" x 3-1/4". Size (compact): 7" x 9" x 4". Your price includes a one color imprint on the bandana.